risks of consuming fluoride during pregnancy. for children established by research and regulatory agencies. EPA Neurotoxicology Division (2009): A team of researchers found substantial evidence that fluoride is a “developmental neurotoxicant” in the same category with alcohol, arsenic, bisphenol A, lead, mercury, and nicotine. Inform and hold accountable those responsible for adding fluoride to your drinking water. Ignorance is no longer an excuse, nor is deference to unscientific endorsements from health organizations that ignore fetal fluoride exposure. To knowingly overexpose babies in the womb to a developmental neurotoxicant is unforgivable, especially now that we have further proof that prenatal fluoride exposure is associated with lower IQs, as confirmed by a major study funded by the National Institutes of Health. 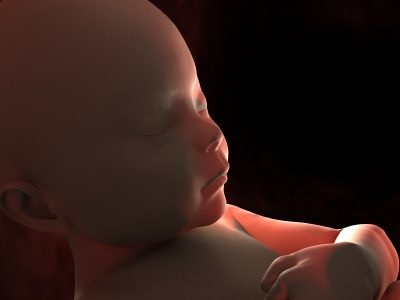 Fluoridated tap water contaminates amniotic fluid swallowed by babies in the womb. Crazy advice from a trusted women’s health association: women should consume fluoride supplements even though they are unapproved prescription drugs not shown to be safe or effective. Does you child get her fluoride from a pharmacy or faucet? Prenatal fluoride a risk factor for premature birth, the leading cause of long-term neurological disabilities in children. States with higher percentages of fluoridated tap water have higher rates of infant mortality, mental retardation, and cancer. Fluoridated water’s many correlations with life decay are better reasons to stop fluoridation than its one correlation with tooth decay was to start it. Fluoridation is perpetuated by unscientific endorsements. Studies of fluoridated water’s effectiveness claim 20-40% less tooth decay, but the actual data shows only 1-2% difference in healthy teeth. The CDC Division of Oral Health’s tries to explain its irrationale for swallowing fluoride. The EPA admits that its primary water fluoridation chemical is a water pollutant. The Public Heath Service based fluoridation on a debunked dental survey from the 1930s. Validating known and growing safety concerns, the recent and diverse scientific evidence presented in this well-documented volume (300 references, mostly PubMed) details the numerous biological, laboratory, and ecological links between prenatal fluoride exposure and adverse pregnancy outcomes – compelling reasons for women of child-bearing age to avoid consumption of fluoride in tap water, as well in beverages made in fluoridated cities. Four years in the making, this concise volume (94 pages) includes three in-depth reports published by the Townsend Letter: The Examiner of Alternative Medicine.